There is a constant flow of news cheering up the digital industry in China. The latest amazing piece of news comes from Tianjin, which hosted the second World Intelligent Congress. 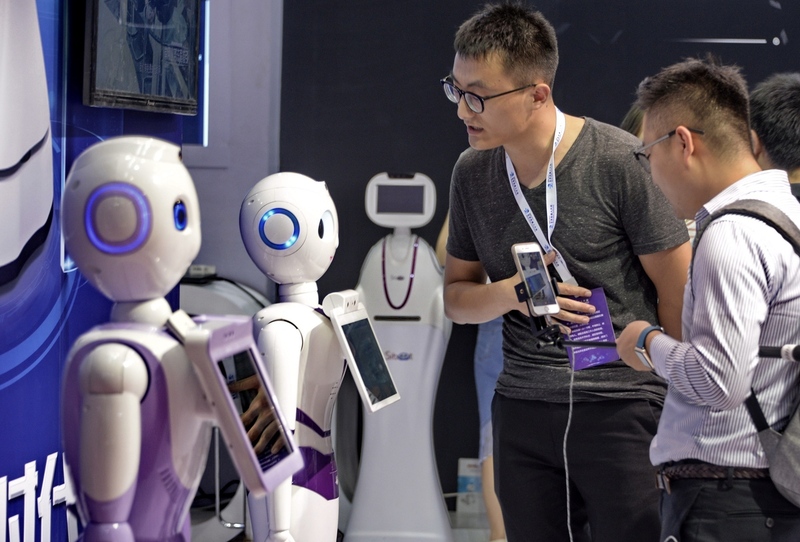 The city announced on May 16 that it would establish a 100 billion yuan ($15.68 billion) fund to boost the artificial intelligence (AI) and smart industry. Tianjin is not alone in making such efforts to push China to realize its goal of becoming a world leader in AI by 2030. According to media reports, policymakers of major cities including Beijing, Shanghai, Shenzhen have also announced their own measures to promote or facilitate the AI industry, joined by China’s banking sector, technology giants, and numerous small and medium-sized enterprises. Competing with the United States, the first country to have implemented a comprehensive AI research and development strategic plan in May 2016, China set a development plan for new generation AI as its strategy in July last year. By comparison, Europe has been slow to act. Only last month, the European Commission outlined its European Union-wide strategic plan to boost AI. Brussels’ AI strategy comprises three elements: injecting billions of euros, preparing the labor market through education and training, and developing an ethical and legal framework. On funding, the EC said it would increase investment in AI by 70 percent to 1.5 billion euros ($1.76 billion) between 2018 and 2020, in order to boost total private and public European investments in AI to at least 20 billion euros by 2020. Brussels’ move is welcome, but it comes following a bitter fact: Europe already lagged behind North America and Asia in private investment in AI which totaled about 2.4 billion to 3.2 billion euros in 2016, compared with 6.5 billion to 9.7 billion euros in Asia and 12.1 to 18.6 billion euros in North America, according to a survey by global consultancy McKinsey. Which shows that if the EU wants to be more productive and effective, it needs to deepen cooperation with its competitors, especially China. Why is China so essential? The significance lies in China’s competitive advantages with the EU. With a population larger than Europe and the US combined, China has a natural advantage with tons of data, which are key to the machine-learning algorithms behind the AI boom. Unlike Europeans, Chinese customers have well adapted to digital life. For instance, mobile payment is so prevalent in China that a cashless society has become a reality in many cities. Last year, China’s digital economy totaled 26 trillion yuan (3.48 trillion euros), accounting for about 32 percent of its GDP, according to the China Academy of Information and Communications Technology. Europe is relatively less digitalized. So China will be an appealing and promising market for the EU’s future AI companies. Besides, China, too, has to look to Europe. AI has featured in the EU since 2004 with a specific focus on robotics. As a result, Europe now is a leading player, producing more than one-fourth of the world’s industrial robots and is home to three of the world’s largest producers of industrial robots. Europe also has world-class researchers, laboratories and startups in the field of AI, making it a strong research and innovation community. Data show Europe accounts for the largest share of the top 100 AI research institutions worldwide. A total of 32 research institutions in the global top 100 for AI-related research paper citations are from Europe, compared with 30 from the US and 15 from China. Notably, the German Research Centre for Artificial Intelligence, founded in 1988, is one of the world’s largest research centers in the field of AI. China is unique and essential for Europe’s AI strategy, and vice versa. It is beneficial for both sides to jointly work on this topic, and this is the right time for Brussels and Beijing to deepen their cooperation. The author is president of ChinaEU, a Brussels-based organization that promotes digital cooperation. The views do not necessarily reflect those of China Watch.